On 20 June I briefed the UN Security Council, on behalf of the Secretary- General, on the implementation of resolution 2334 during the period from 25 March to 19 June. I focused on developments on the ground in accordance with the provisions of the resolution, including on regional and international efforts to advance peace. From the beginning I noted that nothing in the report can be divorced from the broader context in which it is happening: the half century of occupation, the stalled peace process, the lack of dialogue between the parties, as well as continued illegal settlement activities, terror, violence and increased radicalization. This briefing coincides with the 50-year anniversary of the Arab-Israeli war, which resulted in Israel’s occupation of the West Bank, East Jerusalem, Gaza and the Syrian Golan. Achieving a negotiated two-state outcome is the only way to lay the foundations for enduring peace that is based on Israeli security needs and the Palestinian right to sovereignty and statehood. Now is not the time to give up on this goal. Now is the time to create the conditions for a return to negotiations to resolve all final status issues on the basis of relevant UN resolutions, mutual agreements and international law. as compared with the previous reporting period, with plans for nearly 4,000 housing units moving forward and 2,000 tenders issued. The United Nations considers all settlement activities to be illegal under international law. Resolution 2334 states that the international community will not recognize any changes to the 4th of June 1967 lines, including with regard to Jerusalem, other than those agreed to by the parties themselves through negotiations. Plans for some 3,200 units were advanced through the various stages of the planning process in 22 settlements in Area C of the occupied West Bank. These plans include 2,000 housing units in major population centers of Ma’ale Adumim and Ariel, and over 800 units in Kerem Reim, Oranit and Beit El. One hundred units were advanced for the new settlement of Amihai, established in the eastern Shiloh Valley for the former residents of the Amona outpost, where the Israeli authorities also declared 241 acres as ‘state land’ in the same zone. Both acts would further sever the territorial contiguity of a future Palestinian State, solidifying a line of settlements dividing the northern and central West Bank. As construction on the new settlement began today, the Prime Minister stated that “there will never be, a Government that is more prosettlement than our Government”. Separately, tenders were issued for close to 2,000 housing units in four settlements close to the 1967 line — Alfei Menashe, Beitar Illit, Beit Arie and Karnei Shomron. Infrastructure tenders for a future construction of over 200 settlement units in Kochav Yaakov, located between Ramallah and Jerusalem were also re-issued. In East Jerusalem 770 housing units in the Gilo Southern Slopes reached the final approval stage, and building permits for over 360 housing units were granted in Ramat Shlomo, Pisgat Ze’ev and Ramot. Meanwhile, according to OCHA, the reporting period witnessed a sharp decline in the number of demolished Palestinian-owned structures in Area C: 29 structures were demolished or seized, down from 149 in the previous reporting period. East Jerusalem saw a less pronounced decrease in demolished structures from 49 to 32; however, the monthly average of demolitions in East Jerusalem since the beginning of 2017 remains at the same levels as in 2016 when demolitions reached a 15-year record. the security situation on the ground remained relatively calm. No rockets were fired from Gaza towards Israel and the Israeli Defense Forces did not conduct any airstrikes in Gaza. However, according to OCHA seventeen Palestinians were killed by Israeli security forces, in various incidents including reported terror attacks, clashes, and military operations. One Israeli soldier was killed in a car ramming attack on 6 April outside the Ofra settlement, northeast of Ramallah, and, on 16 June, a policewoman was killed in a shooting and stabbing attack by Palestinian assailants in the vicinity of the Old City of Jerusalem. On 14 April, a British exchange student was killed by a Palestinian assailant in a stabbing attack in Jerusalem. The Israeli Security Forces killed a Jordanian citizen reportedly involved in a stabbing incident in the Old City on 13 May, and on 25 May a Palestinian fisherman off the coast of Gaza. The reporting period also witnessed the shooting of two Palestinian men during protests at the fence along Gaza’s northern border. On March the 24th, a senior Hamas military commander was assassinated by unknown assailants in Gaza City. This was followed by a lockdown of Gaza by Hamas in which for a period of a few days the de facto authorities did not allow Palestinians or internationals to leave the Strip. In April, Hamas executed six Palestinian men for alleged collaboration with Israel, an act that was condemned by the international community. Settler-related violence continued during the reporting period as well. According to OCHA, 31 incidents were documented, resulting in one Palestinian killed, ten injured, and damage to Palestinian property. Much of the violence has centred around the West Bank settlement of Yitzhar, near Nablus, a recurrent source of violent actions against neighbouring villages in the past. Against the backdrop of Israeli security officials reportedly warning of the increased risk of another terror attack by Jewish extremists, like the one against the Dawabshe family two years ago, a Rabbi from Yitzhar was indicted for incitement to violence against Palestinians, while a number of others have been arrested. Resolution 2334 called upon both parties to refrain from acts of provocation, incitement, and inflammatory rhetoric, and to “clearly condemn all acts of terrorism.” Regrettably, such calls continued to go unanswered during the reporting period. Palestinian officials and media outlets affiliated with Fatah continued to commemorate perpetrators of past terror attacks against Israeli civilians. One community center was recently named after a Palestinian woman who was involved in an attack in which 38 Israelis, including 13 children were killed in Tel Aviv in 1978. UN Women and Norway withdrew support from the organisation. Some Israeli officials have also employed provocative rhetoric. 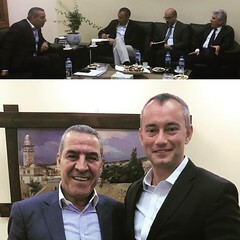 Politicians have repeatedly declared that there will never be a Palestinian state, pledging to take the idea of statehood “off the agenda.” In a regrettable incident, an Israeli minister spoke at an event, attended by other members of the Knesset, celebrating the publication of a book promoting abhorrent views towards Israel’s Arab citizens. The book was condemned by the Anti-Defamation League as “dangerous and inhumane” and a number of the participants expressed regret at their attendance. Israel approved a number of positive measures to improve the Palestinian economy. 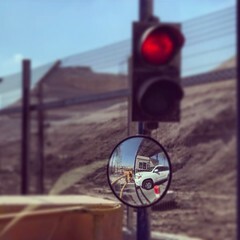 These included the 24-hour opening of the Allenby Bridge for a three-month period, which is effective as of today, in addition to extended operating hours at the Tarkumiya, Ephraim, Gilboa, Maccabim and Reihan crossing points, and the construction of a vehicular crossing at Eyal. In addition, the package envisions the development of an industrial zone that includes bonded warehouses and a natural gas and fuel terminal, aiming to enhance Palestinian authority over trade and customs issues. 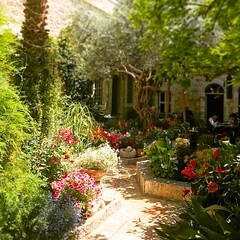 The measures also included the demarcation of approximately 4,000 acres of land in Area C, including next to three major Palestinian cities — Ramallah, Nablus and Tulkarem – in which the regulation of planning and zoning will undergo changes, with potentially positive implications for Palestinian development. Palestinian and Israeli Finance Ministries held a number of meetings to discuss fiscal leakages, a critical issue given the Palestinian Authority’s 800 million dollar financing gap. The parties have progressed in discussions on VAT clearance revenues. In early June, in accordance with the Electricity Agreement signed last September, Israel transferred 30 million dollars to the Palestinian Authority in lieu of equalization levies and health stamps and agreed to conduct monthly transfers in the future. In May, the Joint Water Committee held its first meeting in seven years. During the reporting period, the situation in Gaza has heightened intra-Palestinian tensions, creating an increasingly dangerous humanitarian situation, and raising serious concerns about the prospect of another conflict. By establishing an Administrative Committee to run civilian affairs, Hamas tightened its control of Gaza and further antagonized the legitimate Palestinian authorities, reducing the prospects for reconciliation. Meanwhile, a standoff between Fatah and Hamas over the payment of taxes on fuel led to the shutdown of the only power plant in Gaza, leaving residents with four hours of electricity per day. Basic services, including health facilities, water supply and wastewater management have almost ground to a halt increasing the risk of health and environmental disasters. Today Gaza depends exclusively on Israeli electricity lines, which normally provide 60 percent of supply; on Egypt; and on a UN-managed emergency fuel operation that given the funding available, will expire in two to three months. 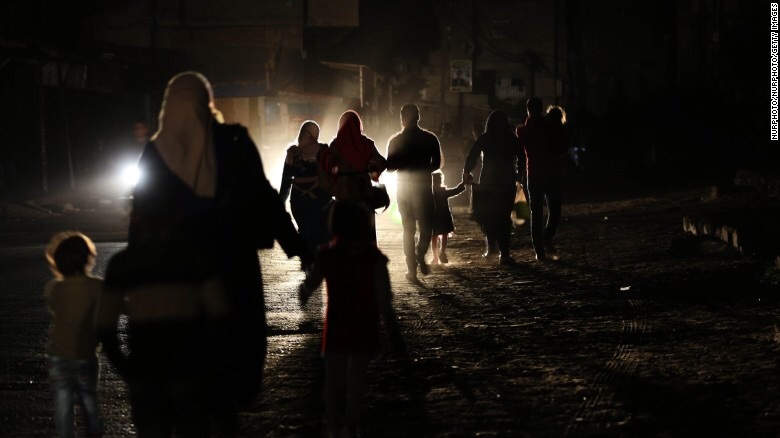 On May 15th , the Palestinian Authority informed Israel that it would reduce its payment for the electricity Israel supplies to Gaza by 30 per cent. One month later, Israel agreed to the Palestinian request. An initial five per cent reduction was implemented on 19 June; further cuts are expected to have catastrophic consequences for Gaza’s population. I went beyond the scope of today’s report on the implementation of resolution 2334 and — once again – warned all parties that Gaza is a tinderbox. If and when it explodes, it will have devastating consequences for the population and derail all efforts at advancing peace. Two million Palestinians in Gaza can no longer be held hostage by divisions. For a decade they have lived under the control of Hamas. They have had to deal with crippling Israeli closures, Palestinian divisions and have lived through three devastating conflicts. Perpetuating this situation breeds radicalism and extremism. We have a collective responsibility to prevent this. We have a duty to avoid a humanitarian catastrophe. Returning to the resolution I noted that during the reporting period there have been no developments related to Member States’ distinguishing, in their relevant dealings, between the territory of the State of Israel and the territories occupied in 1967. There have, however, been continuing efforts by the international community to advance peace. On the 29th of March in Jordan, at the Summit of the League of Arab States, Arab leaders committed to re-launching serious peace negotiations on the basis of the two-state solution, establishing a Palestinian state “on the lines of June 4, 1967 with its capital in East Jerusalem” and reaffirmed their commitment to the 2002 Arab Peace Initiative. In May, on his first trip abroad, U.S. President Trump visited Israeli and Palestinian leaders and made clear that resolving the Israeli-Palestinian conflict is critical to combating the threat of violent extremism and terrorism. He expressed his personal commitment to helping both sides achieve a peace agreement that would begin a process of peace throughout the region. The Secretary-General looks forward to working with the United States, Russia, the European Union and regional partners towards improving the environment for peacemaking, including by engaging with all sides to improve the Palestinian economy in the West Bank and Gaza. In closing, I shared some broad observations on the reporting period. First, I stressed the urgency of addressing the rapidly deteriorating situation in Gaza. We must acknowledge the significant budget constraints the Palestinian Authority is currently facing and the need to support the Government in addressing them. However all decisions must be taken with due consideration of their humanitarian impact. I called on Palestinian leaders to urgently reach the necessary compromises that will return Gaza to the control of the legitimate authorities. Last month, I warned the Security Council that this crisis is leading us toward another conflict. A conflict that no one wants. I urged all parties to act before it is too late. Secondly, the policy of continued illegal settlement construction in the occupied Palestinian territory contravenes resolution 2334. The large number of settlement-related activities documented during this period undermine the chances for the establishment of a viable, contiguous Palestinian state as part of a two-state solution. Thirdly, the continuing terror attacks, violence and incitement remain a very serious concern. Leaders have a responsibility to implement measures demonstrating their commitment to combatting violence and any acts of provocation and inflammatory rhetoric. Fourthly, while Israeli initiatives to improve the Palestinian economy are positive steps forward, it remains to be seen whether this will significantly increase Palestinian civil authority, in line with Quartet recommendations and prior commitments between the parties. Every day that passes without peace, is another day we neglect our collective responsibility to advance a meaningful strategy towards a negotiated two-state solution that meets the national and historic aspirations of both peoples. The United Nations will continue its determined engagement with the parties and all key stakeholders to achieve that objective. 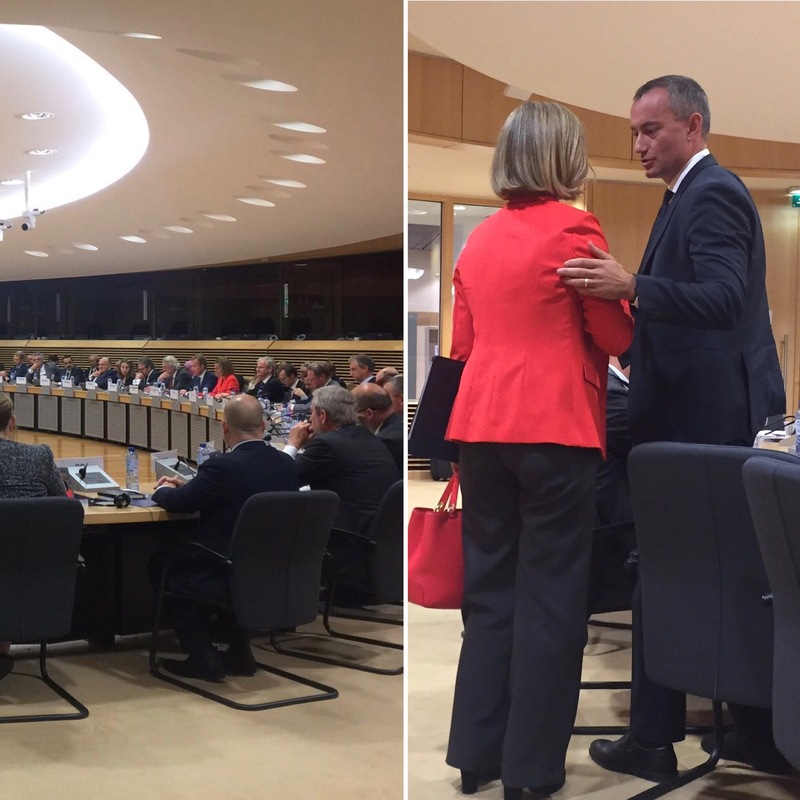 On 4 May Norway and the EU hosted a meeting of the Ad Hoc Liason Committee (AHLC) in Brussels. The Committee meets twice a year to coordinate international efforts in support of Palestnian development. In a day of bilater meetings, including with Israel and the Palestnian Authority, participants review what has been achieved and what is pending. It was also an opportunity to welcome newly appointed US Special Representative for International Negotiations Jason Greenblatt. In my remarks I started by looking at the context in which our discussions took place. The impasse of the Middle East Peace Process has pushed both Israelis and Palestinians to take unilateral steps that drive them further away from each other and reduce the prospects for peace. Settlement expansion, violence, and the absence of visionary leadership continue to define the conflict on a daily basis. I noted that In this context political initiatives are important. In a Middle East that is the midst of a perfect storm of sectarian violence, terror and failing states developments in the Arab-Israeli conflict continue to resonate across the region. The question of Palestine remains a potent symbol and rallying cry that is easily misappropriated and exploited by extremist groups. The first step in restoring hope is to recognize that both Palestinians and Israelis have legitimate national and historic aspirations that can only be met if they separate in two states that live in peace, security and mutual recognition. That is why now is not the time to give up on the two-state solution. The second step is to work on the ground to build trust. Steps that reverse the negative trends, including settlement expansion, violence and incitement and address the illicit arms buildup and militant activity in Gaza. But also steps that are in line with existing agreements. Progress in the areas of housing, water, energy, and other sectors, along with significantly easing Palestinian movement restrictions, can be made while respecting Israel’s legitimate security needs. There has been much discussion of these steps in the AHLC format. It is worth highlighting today the significant efforts of the Palestinian leadership to reduce its budget deficit as the PA faces an 800 million dollar financing gap in the coming year. We in the international community must support the Palestinian Authority’s state-building efforts, or risk losing the very foundations of the future Palestinian state. So must Israel, as it is in her security and national interest to see stability and prosperity in the neighbourhood. In our discussions in the last two days we agreed on the need for increased Palestinian and Israeli economic cooperation and an easing of restrictions on access and movement. While the goodwill and understanding is there — and important water and electricity agreements have been reached, their implementation is still severely lacking. The questions of fiscal leakages, energy, water and access have to be urgently addressed. We must support the parties in reviving their efforts to find solutions to these key economic challenges, as we work to restore a political perspective. The third step is a return to negotiations. 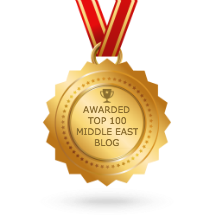 Today it is not just the Israeli and Palestinian leaderships that recognize the risks posed by the Middle East’s turmoil. The region — Egypt, Jordan and beyond agree that cooperation — rather than confrontation, is now needed more than ever. This creates a unique opportunity that must be used. The Arab Peace Initiative is still on the table, the Middle East Quartet is engaging on the issues at hand and the new US administration has quickly taken these challenges to task. It is important that we do not miss the opportunity to help the parties find their way back to negotiations. I also focused on the situation in Gaza as I believe that we are walking into another crisis with our eyes wide open. For the last ten years two million people have been held hostage by disagreements, divisions and closures. It is time for this situation to end. That is why in its report to the AHLC this year UNSCO focused on the effects of the ten years of Hamas control of the Gaza strip, the ensuing military confrontations and closures. The current electricity crisis is a manifestation of the broader political crisis. Since the shutdown of the Gaza Power Plant, hospitals are operating on minimum capacity putting patient lives at risk. The population is supplied portable water only once every four to five days. 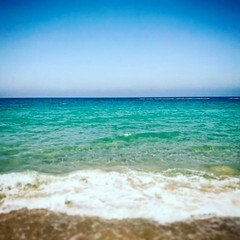 More than 100,000 cubic meters of raw sewage is being discharged daily into the Mediterranean Sea. These developments increase health risks for both Palestinians and Israelis along the coast. I urged all parties to refrain from taking actions that would further exacerbate the situation and to seek a political solution to the standoff. This situation can only be resolved through a compromise, based on the implementation of intra-Palestinian agreements that would end the division and return Gaza to the control of the legitimate Palestinian authorities. Until then and under the current circumstances the United Nations can only work to mitigate the impact of the crisis on the most vulnerable. The Palestinian Authority, Israel and indeed Hamas — who have controlled Gaza for a decade now – have obligations as duty-bearers for the welfare of Gaza’s residents and must live up to their responsibilities. In closing I stated that we cannot continue business as usual. We do not have the luxury to manage the conflict, we must resolve it. We must work in parallel on all tracks — on the political track, to restore hope; on the trust building track, to encourage the parties to refrain from unilateral steps and improve the lives of people; on the negotiations track, to help both sides find their way back to the negotiating table to address the final status issues; on the international track, to support through the Middle East Quartet framework and the region a just and lasting two-state solution; on the security front, to prevent terror and fight incitement; and last but not least on addressing the grave situation and the risks emanating from Gaza. Earlier today I deliver my brieifng to the UN Security Council on the situation in the Middle East, including the Palestinian question. I took note of the Presidency’s interest in discussing a number of issues pertaining to the Middle East and North Africa region. That is why I highlighted some of them in my presentation and deferred to my fellow UN envoys who regularly brief the Council for greater detail on many of these challenges. Today a perfect storm has engulfed the Middle East and continues to threaten international peace and security. Millions have been displaced in the biggest refugee crisis since the Second World War. In many countries, societies have fractured along ethnic or religious lines. Non-state actors have taken control of territory and terror attacks have spread, indiscriminately striking civilians of all origin and confession. From the onset, I paid tribute to the countless victims of these senseless acts of violence and called on the international community to show its full and unwavering commitment to defeat terror and incitement; to support the forces of moderation against extremism; to untangle the Gordian knot of political, economic and foreign forces that are driving the myriad of conflicts in the Middle East. Developments in the Arab-Israeli conflict continue to resonate across the region. and exploited by extremist groups. Ending the occupation and realizing a two-state solution will not solve all the region’s problems, but as long as the conflict persists, it will continue to feed them. Sporadic violence has continued in recent weeks as five Palestinians and one Israeli were killed in various acts of violence. Among the fatalities were two Palestinian teenaged boys, shot by Israeli security forces outside Ramallah, as well as a British woman who was murdered by a Palestinian man in Jerusalem. In March Israel approved the establishment of a new settlement and declared some 240 acres as “state land” inside the occupied Palestinian territory. These moves further undermine the territorial contiguity of a future Palestinian state in the West Bank. Tenders for close to 2,000 housing units, the vast majority in major population centres close to the 1967 lines, were also issued. I noteed recent reports that Israel has adopted a policy of restraint by which construction will be advanced “almost exclusively” in the built-up areas of settlements but it is too early to determine how this policy will manifest itself on the ground. and I urge for all such activities to be ceased. On the Palestinian side, multiple worrying developments are further cementing the Gaza – West Bank divide and dangerously increasing the risk of escalation. In April, the Palestinian Government reduced payments to thousands of Palestinian Authority employees in the Gaza Strip. It is important that the burden of decisions to reduce expenditures are fairly distributed and made with due consideration to the harsh conditions under which people in Gaza live. Four months ago Palestinians in Gaza went to the streets when people were left with only a few hours of electricity per day. The situation was temporarily resolved with the help of Qatar, however a more serious crisis is now unfolding again as electricity is down to less than 6 hours per day. The social, economic and political consequences of these developments should not be underestimated. I call on all parties to come together and ensure the vital issue of energy for Gaza is resolved once and for all. by forming an administrative committee that is seen by many to be a direct challenge to the legitimate Palestinian government. Following the assassination of one of its militants, it temporarily put in place a series of restrictions preventing Palestinians and internationals from leaving and banning fishing for two weeks. On April 6th three Palestinians were executed by Hamas in gross violation of international law and without a fair trial. These actions were condemned by the Secretary-General and I said that I am deeply concerned that further extrajudicial executions are anticipated in Gaza. On 7 April, nine people were killed in armed clashes between the newly formed Palestinian joint security forces and members of Islamist militants with links to al-Qaeda, erupted in Lebanon’s Ein el-Hilweh Palestine refugee camp. Young Palestinians in refugee camps across the region remain particularly vulnerable to extremists and religious radicals as living conditions in these communities remain extremely harsh. On 17 April, an estimated 1500 Palestinian prisoners and detainees began an open-ended hunger strike to protest their conditions in Israeli prisons. I also noted my concern by today’s report of an attempt to smuggle explosive material from Gaza into Israel via medical material. These actions will only exacerbate existing tensions. I then turned to some broader regional dynamics as several states in the region continue to bear a massive burden from the flood of Syrian refugees. While the international community must do more to stand in solidarity with Syria’s neighbors by increased assistance and burden sharing, the underlying causes of displacement must be addressed through a political solution to the ongoing conflict. In Syria, a democracy deficit, systematic repression, and wholesale human rights violations, including by the Government – which holds the primary obligation to protect the human rights of all civilians in the country – have combined with a prolonged conflict to create a fertile ground for sectarian polarization, radicalism and violent extremism. One of the greatest contributions we all can make to the defeat of listed terrorist organisations such as ISIL and Al Nusra Front is to achieve a comprehensive and credible political settlement to the Syrian conflict and a political transition to an inclusive, democratic and participatory state. Such an outcome would also help to enable a more unified international counter-terrorism response. use of chemical weapons in Syria. If confirmed, this abhorrent action would amount to a serious violation of international law and present a threat to international peace and security. This is an area in which the Security Council has the primary responsibility and I expressed my hope it can unite to send a strong collective message that the perpetrators of such attacks will be held accountable. In Lebanon, on 12 April President Aoun decided to adjourn the tenure of the Lebanese Parliament for one month. It is hoped that this will allow time for Lebanon’s leaders to agree on an electoral law, in accordance with the Constitution. The Council will soon receive the report of the Secretary-General on the implementation of Resolution 1559 (2004), which called on the disbanding and disarming of all militias. Recognizing the vital progress achieved in restoring Lebanon’s institutions to their full functioning, it will be essential for the country to seize the current momentum to counter the maintenance and alleged increase of weapons outside the authority and the control of the state. 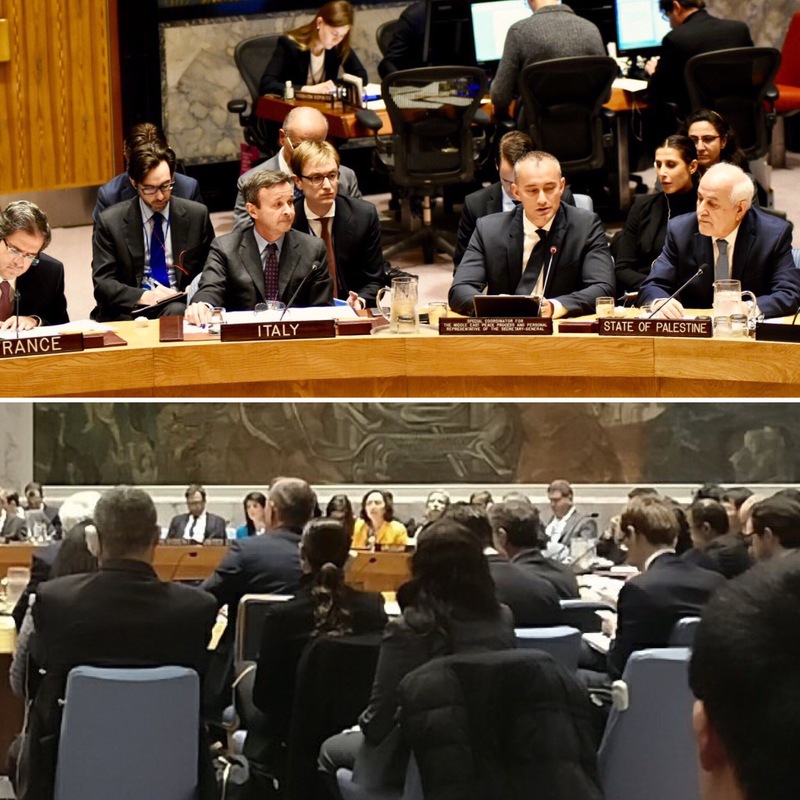 Libya, as Special Representative Kobler briefed the Council a day earlier, has made important strides in the fight against ISIL, which no longer holds territory in that country. However, the stalled implementation of the Libya Political Agreement is contributing to a political and security vacuum, putting Libya’s population and its neighbours at risk of further destabilization. Armed groups have committed grave violations and abuses of human rights. It is critical that the political process is resumed with the support of the international community. In Iraq, the security forces supported by the international anti-ISIL coalition are making progress in retaking Mosul. I welcomed the efforts of the Government of Iraq to secure and rebuild destroyed areas and to advance the national reconciliation process. This will be essential for depriving ISIL of legitimacy, access to resources and support. social exclusion and marginalisation, particularly in areas of prolonged and unresolved conflicts, provide fertile ground for the rise of violent extremism. Unity across ethnic and religious lines, reconciliation and a fair sharing of resources help heal wounds and isolate extremists. Listed terrorist organizations and other non-State actors, including armed groups such as Hezbollah, have thrived in the climate of weak governance and an absence of human rights that pervade the region. It is estimated that over 30,000 foreign terrorist fighters from over 100 Member States have travelled to the Middle East in recent years to join such groups. Their presence over expanses of territory and accumulation of resources and weaponry pose an increased threat to regional and international peace and security. Some foreign fighters have already returned to their home countries spreading violence in their own communities. The humanitarian and social impact of the conflicts in the Middle East is catastrophic. In Syria, hundreds of thousands have been killed since 2011 and approximately half of the population is displaced. Over five million Syrian refugees are registered with UNHCR with nearly three million in Turkey, over one million in Lebanon and more than 650,000 in Jordan, putting a huge socio-economic and security strain on these societies. In Iraq, over 334,000 people are currently displaced in total as a result of fighting in Mosul, most of them people who have lived for two years under the barbaric rule of ISIL. Owing to intensive efforts by the Government and humanitarian partners, operations have kept pace with growing needs, but capacities are strained. In Yemen — the poorest county in the Middle East, the situation continues to deteriorate as 18.8 million Yemenis are in need of humanitarian assistance, including a shocking 10.3 million who require immediate help. More than two million are internally displaced and over two million children are acutely malnourished. as required under international humanitarian law. Regardless of the causes, whether defense or counter-terrorism, the abuse for human rights in the conduct of any conflict can never be justified. It only serves to reinforce the fundamental drivers of extremism and violence. The complexities of the region’s conflicts means that political solutions based on justice, dignity and social cohesion are required to achieve and sustain peace. Developments on the political front continue. In Yemen, Special Envoy Ismail Ould Cheikh Ahmed is consulting with key regional and international actors in an effort to build support for the framework for peace talks as well as to mitigate the effects on the civilian population of the military hostilities along the Red Sea coast. On 12 April you heard from Special Envoy Staffan de Mistura, who underscored that there can only be a political solution to the bloody conflict in Syria. I reiterateed his urgent call for the Council to unite behind the UN-convened intra-Syrian talks in Geneva on political transition as per Security Council resolution 2254 and the 2012 Geneva Communique. Efforts to revive engagement between Israelis and Palestinians to achieve a negotiated and sustainable peace must also be intensified. In this regard, I said that I was encouraged by ongoing efforts by Egypt, Jordan and the United States to advance the prospects for peace. On March 29th the League of Arab States convened in Jordan for their 28th Annual Summit where the leaders of 22 countries once again endorsed the Arab Peace Initiative. the region requires a surge in diplomacy for peace. Member States, especially through a united Security Council, will have to assume the leading role, including by advancing the implementation of relevant Security Council resolutions. In today’s world there can be no justification for terrorism, nor for the glorification of those who commit it. But without justice, dignity and the protection of human rights, communities will continue to fracture and provide fertile ground for extremists. To this end the fragility of states must be addressed. Governments need to respond to the legitimate demands of their people and strengthen social cohesion and reconciliation. This is the first line of defense against extremism. Efforts to strengthen the voices of moderation, and build religious tolerance must also be strengthened. Divisions within the region have opened the door to outside interference and manipulation, breeding instability and sectarian strife. Multilateral approaches and cooperation are necessary to address interlinked conflicts, cross-border humanitarian impacts and violent extremism. I closed by reminding the Council that behind the images of savagery, behind the shocking statistics of human suffering, are the millions fighting every day not only for their own survival but for the true humane essence of their cultures and societies. They are the true faces of the Middle East, and we must do all we can to help them prevail.